On Supernatural Season 11 Episode 23, God comes to a decision about Amara that has direct consequences for Sam and Dean on the season finale. 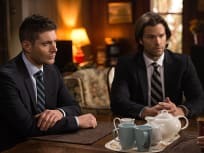 As Supernatural Season 11 Episode 22, Rowena makes her move and and Dean and Sam must face their biggest challenge yet. 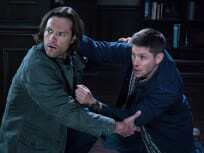 On Supernatural Season 11 Episode 21, when Dean is shown how Amara is torturing Lucifer, he and Sam come up with a plan to rescue him from her clutches. 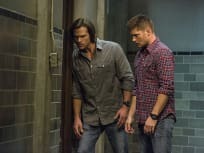 On Supernatural Season 11 Episode 20, Dean and Sam team try to protect a town where Amara has unleashed a stronger version of the original black vein virus. On Supernatural Season 11 Episode 19, Sam and Dean head to investigate a small town in Colorado where a mysterious disappearance happens every 27 years. On Supernatural Season 11 Episode 17, with a pack of werewolves hot on their trail, Dean struggles to get Sam and two other victims to safety. 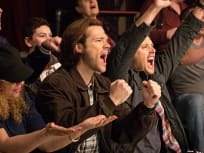 On Supernatural Season 11 Episode 15, Sam and Dean attend a wrestling match to relive fond memories but when a wrestler turns up dead they suspect foul play. 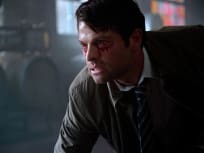 On Supernatural Season 11 Episode 14, Dean convinces Lucifer to send him to 1944 to the submarine mission that sunk the Hand of God in order to defeat Amara. 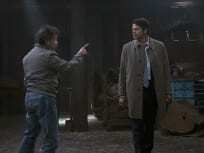 Sam and Dean investigate a set of murders on Valentine’s Day and discover they are dealing with an ancient curse. 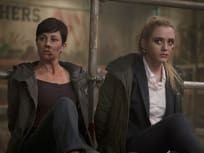 On Supernatural Season 11 Episode 12, Sheriff Mills worries that Claire has been attacking normal people and accusing them of being monsters. Amara unleashes her power on the local townspeople as she issues a shocking challenge. Meanwhile, Sam comes up with a plan that could have disastrous consequences. 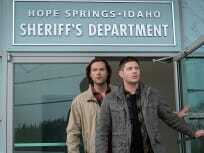 Sheriff Donna calls Sam and Dean for help after a horrific murder with supernatural elements happens in her town. Sam continues to have visions and asks God for help. Sam and Dean go on a road trip to fight monsters and demons. But the Impala becomes more important to the case than the brothers first thought. 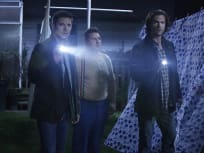 While Rowena tries to consolidate her power to protect herself from the Winchesters, Sam and Dean search for a missing baby connected to the Darkness. On Supernatural Season 11 Episode 2, after Dean helps Jenna get home, she falls into dangerous hands while Sam deals with a town turning into monsters. 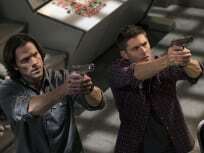 Supernatural Season 11 Episode 1 is the premiere and will find Sam and Dean ready to confront the Darkness. But what is it, exactly? We'll find out! Supernatural Round Table: A Satisfying Finale or Total Letdown?